The Motley Fool Canada » Investing » Attention Contrarian Investors: Are Gold Stocks Undervalued Today? Attention Contrarian Investors: Are Gold Stocks Undervalued Today? The strong recovery in equity markets in 2019 has wiped out many of the deals that were available at the end of last year, but some sectors, including gold, continue trade at depressed levels and investors are wondering whether this is the right time to add gold miners to their portfolios. 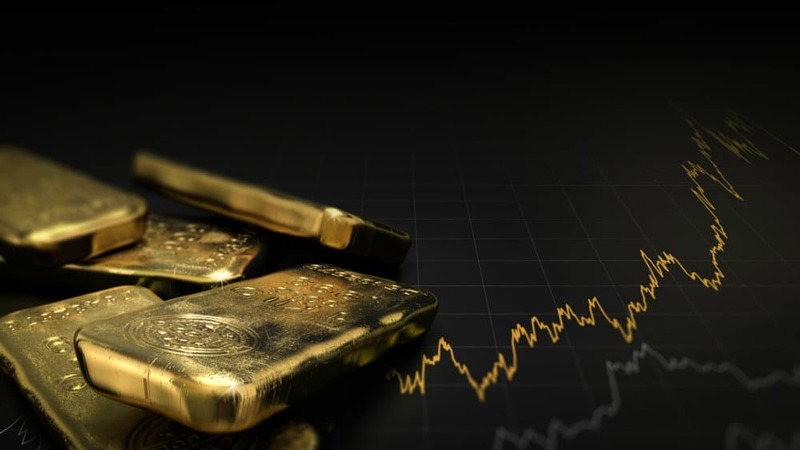 Let’s take a look at the current situation in the gold market and see if gold stocks such as Barrick Gold (TSX:ABX)(NYSE:GOLD) deserve to be on your buy list. Gold currently trades for US$1,300 per ounce at writing. The precious metal endured a rough ride through the second and third quarters of 2018 as rising interest rates in the United States had traders concerned that funds would shift out of the non-yielding metal and into fixed income alternatives. As interest rates rise, the yield on no-risk investments like GICs tends to increase, making the opportunity cost of holding gold a bit harder to justify. In the fourth quarter, however, sentiment began to change regarding the outlook for U.S. rate hikes in 2019. Originally, pundits expected three more increases this year. As we now know, the market is pricing in zero hikes for 2019 and some analysts are even calling for a cut before the end of the year. This is part of the reason gold found a bid in recent months, rising from US$1,200 in early October to just under US$1,350 in February. Since then, the market has pulled back a bit as traders try to figure out where the market is headed next, although recent strength suggests we could see another surge. The U.K. and Europe just kicked the Brexit can down the road to a new deadline set for the end of October. That might have removed the near-term potential for a crisis flow of funds into gold, but it should also provide ongoing demand over the next six months as uncertainty continues around the topic. Trade tensions are also worth watching. Talks continue between the U.S. and China, and while reports of progress are hitting the headlines, investors should expect ongoing tensions. At the same time, Europe and the U.S. are entering a new tariff fight over airline subsidies. The U.S. just threatened to hit economic bloc with $11 billion EU in tariffs. Any escalation in that battle could send gold much higher, as the EU is already facing multiple financial risks, including Brexit and Italy’s fragile banking sector. Another theory on gold’s moves over the past year is connected to cryptocurrencies. Pundits point out that soaring Bitcoin prices resulted in a draw of funds out of gold as investors chased the digital currency rally. The subsequent crash might have triggered a move of cash back to gold through the end of last year. Bitcoin is catching a new tailwind of late and a new rally in the sector could once again be negative for gold. Should you buy the gold miners? Where gold goes from here is anyone’s guess, but the strength in the market since October appears to be holding up, which should bode well for margins at the mining companies. If you are of the opinion gold is in the early stages of a longer-term move to the upside, Barrick Gold and its peers appear attractive today. In the case of Barrick Gold, the company’s recent merger with Randgold created a giant in the global mining sector with five of the planet’s top 10 mines. Barrick Gold’s balance sheet is in good shape after a multi-year turnaround, and the company has the potential to generate significant free cash flow on rising gold prices. The board even raised the dividend. Barrick Gold currently trades for $18 per share at writing, compared to $29 in July 2016, when gold fetched close to US$1,375, which is less than 6% higher than today’s price. Other factors come into play, but based on that metric, Barrick Gold might be oversold right now.